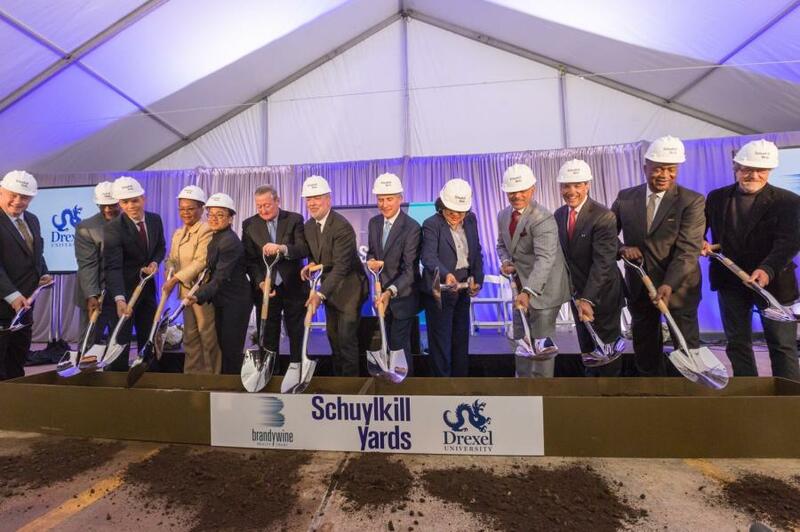 Brandywine Realty Trust, in partnership with Drexel University, broke ground on Nov. 8 on Phase I construction of the mixed-use, master-planned Schuylkill Yards development in University City. The first phase of the $3.5 billion, multi-year project will enhance the public realm by creating a 1.3-acre community park at the corner of 30th and Market Streets to be known as Drexel Square, followed by the reimagination of the former Bulletin Building, and the development of two towers at 3003 JFK Blvd. and 3025 JFK Blvd. This first phase of development will produce 4.6 acres of entrepreneurial space, educational facilities, research laboratories, corporate offices, residential and retail spaces, hospitality venues and open public spaces. Schuylkill Yards is the next chapter in Brandywine's longstanding, proven commitment to West Philadelphia, which began more than 15 years ago. Brandywine built West Philadelphia's first office tower — Cira Centre — in partnership with Amtrak, followed by the historic renovation of the new IRS Philadelphia Campus. Brandywine then began construction of Cira Centre South in partnership with the University of Pennsylvania — a two-tower development comprised of FMC Tower — Philadelphia's first “vertical neighborhood” — and evo — the nation's tallest, luxury student apartment tower at the time of completion. 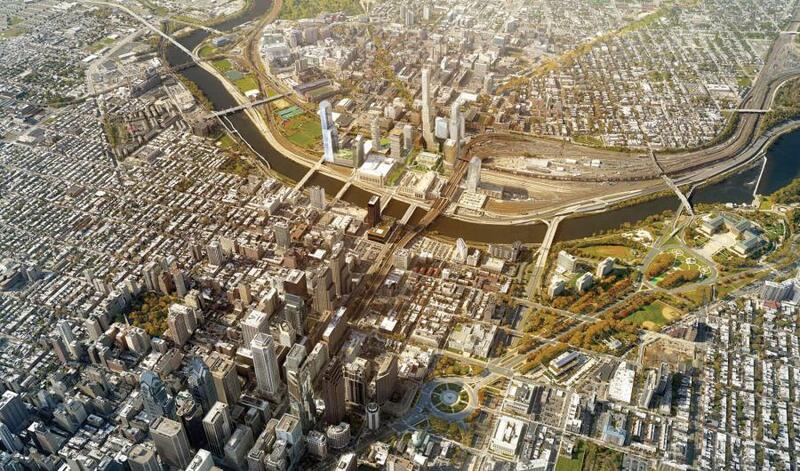 Cira Green, Philadelphia's first “park in the sky” creates a unique bridge between the two towers. The park serves not only as an amenity for tenants, residents and guests of Cira Centre South, but as an open-to-the-public destination for community gathering and relaxation. “Today we take the first steps in making this large-scale innovation community a reality. As Brandywine continues to expand the West Philadelphia skyline, we do so with a forward-thinking, inclusive approach to the future. We embrace the changing habits of how people are living, creating, working and spending their time. We are proud that our first project in Schuylkill Yards will deliver a green public gathering space where the community can connect, interact and share experiences,” said Jerry Sweeney, president and CEO of Brandywine Realty Trust. As a priority of Brandywine's curated neighborhood experience, Drexel Square will boast 1.3 acres of public space located directly across from Amtrak's 30th Street Station. The space was thoughtfully designed in partnership with planning and design firms SHoP Architects and West 8 Landscape Architects, and will serve as a four-season destination with dynamic community programming throughout the year. Drexel Square is just one portion of the 6.5 acres of greenspace and improved streetscape planned for Schuylkill Yards, and is expected to be completed in Q4 2018. “Thanks to Brandywine's thoughtful community building, this project will help us expand opportunities to many Philadelphians in need of jobs that pay family-sustaining wages and provide them with the security of affordable, permanent housing,” said Mayor Jim Kenney. In conjunction with Schuylkill Yards' groundbreaking, Brandywine will implement an unprecedented $5.6 million neighborhood engagement program focused on small business development, job creation, and affordable housing. This initiative emphasizes Brandywine's commitment to improving Philadelphia's neighborhoods, and ensuring Schuylkill Yards serves as a bridge to West Philadelphia communities. “We are proud to have a Philadelphia-based developer on this project who understands and acknowledges all that goes into creating a forward-thinking, sustainable neighborhood. Brandywine Realty Trust has not only engaged direct stakeholders, but is also engaging local communities and neighborhood groups, encouraging them to take part and voice opinions on what matters most in their neighborhood,” said Councilwoman Jannie Blackwell. Schuylkill Yards will, over the course of the next 15 to 20 years, bring to Philadelphia a next-generation innovation community defined by thoughtful place-making, civic engagement and quality execution. It will be strategically designed to emphasize thoughtful collaboration, inspiring spaces and dynamic movement. When completed, the site will host a combination of repurposed buildings, new high-rises with world-class design, and a diverse network of public spaces regularly programmed for community engagement and enjoyment. As master developer of Schuylkill Yards, Brandywine leads an experienced development team that includes residential developer, Gotham Organization Inc., and life-sciences developer, Longfellow Real Estate Partners. SHoP Architects is responsible for the district planning and development of architectural standards, and West 8 Landscape Architects has designed the public realm plan and overseen development of landscape standards. 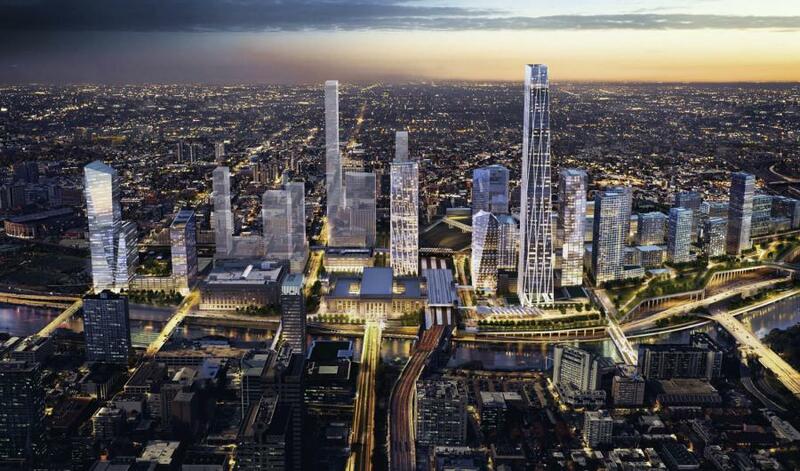 Schuylkill Yards is a $3.5 billion visionary, next-generation, 14-acre, master-planned innovation community, developed by Brandywine Realty Trust on land owned by and in coordination with Drexel University. The multi-phase, multi-year development will create an integrated urban environment offering a connected community of entrepreneurial spaces, educational facilities, research laboratories, corporate offices, residential and retail spaces, hospitality and cultural venues, and a series of public, open spaces. It is designed to unite Center City with the medical, life science, and educational bedrock of University City by creating a leading hub of innovation, technology, talent, culture, and growth. Learn more at schuylkillyards.com. 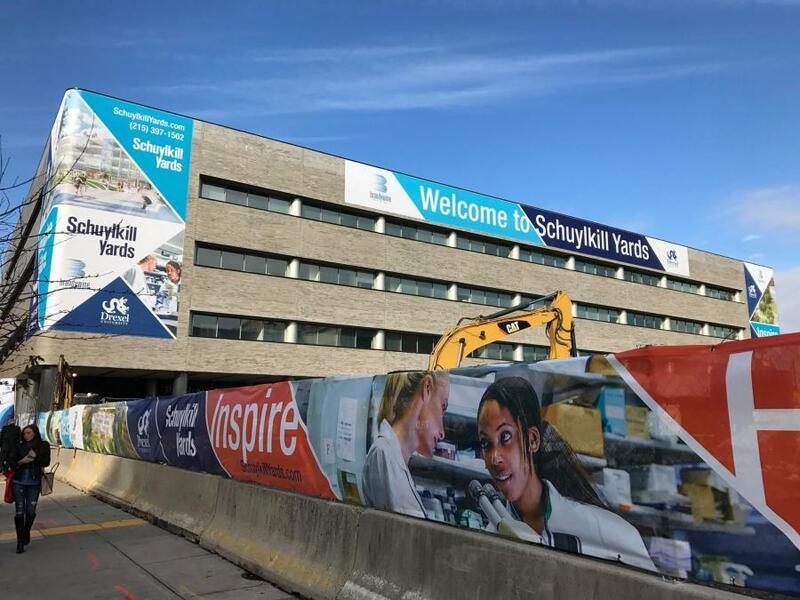 For more information, visit schuylkillyards.com.